Aircraft Tool Calibrations: What is NIST and why is it important? The kilogram is an artifact made of platinum-iridium which is kept at the International Bureau of Weights and Measures (BIPM). Just like ancient egyptian tool calibration, all certificated repair stations must ensure all test and inspection equipment and tools used to make airworthiness determinations on articles are calibrated to a standard acceptable to the FAA. This tool calibration is performed according to FAA Regulations. The National Institute of Standards and Technology (NIST), formerly called the National Bureau of Standards, is one of many non-regulatory federal agencies within the U.S. Department of Commerce that produces, maintains and supplies Standard Reference Materials (SRMs) to primary calibration laboratories. These SRMs are certified as having specific characteristics or component content to be used as calibration standards for measuring equipment. At Duncan Aviation Calibration Services, when a torque wrench is received for calibration it is calibrated using a torque cell. That torque cell is calibrated using calibrated weights and a calibrated moment arm, each of which are calibrated by other calibration labs. Subsequent calibrations of those weights are eventually traced back to a SRM from NIST and for those of you who enjoy trivia, even further back to the international prototype of the kilogram. The kilogram is an artifact made of platinum-iridium which is kept at the International Bureau of Weights and Measures (BIPM) located in France under the conditions specified in 1889 when the prototype was sanctioned. 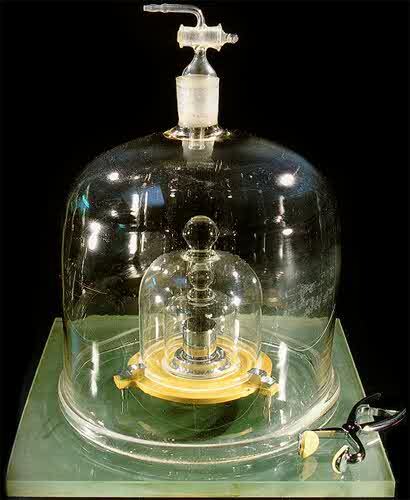 The weight of the kilogram equals exactly one kilogram. With NIST and its international partners, a unit of measure can be the same from one country to the next. This holds true for other measurements beyond just the kilogram for mass. Time, voltage, length, resistance and others all have SRMs to allow calibration labs to have consistently accurate calibration standards across the world. If you have any questions or comments about this, contact Duncan's calibration lab at 402.479.1698.